After the theme gets installed, activated with recommended plugins and FrontPage Setup, you can go to the Appearance → Customizer to start customizing the Innofit. 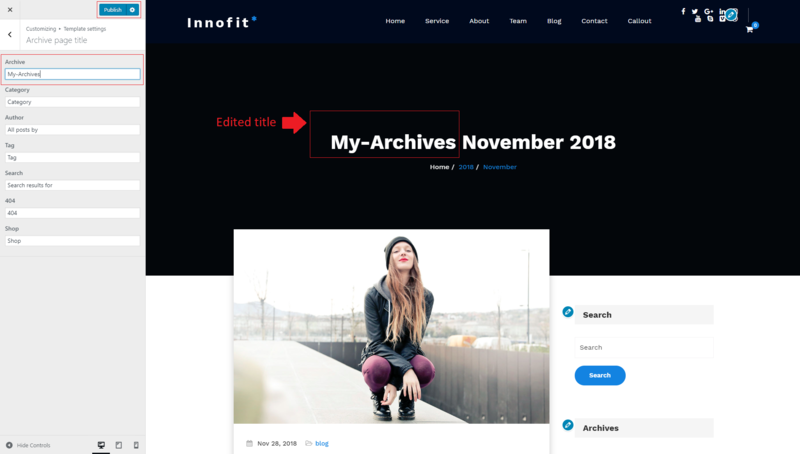 However, for customizing, we already have given the direct links to the customizer settings in the About Innofit admin page. Logo – Suggested image dimensions: 175 by 45 pixels. Site Title – The main title of the site. Tagline – A tagline is a short phrase, or sentence, used to convey the essence of the site. Site Icon – A unique favicon icon for your site. Header – Header image is the default image for all the posts/pages if does not publish with the featured image. Footer – This section just for the Copyright text. Here you even can put the HTML. However, for eg., we already have saved dummy Copyright text. You can edit to your own. 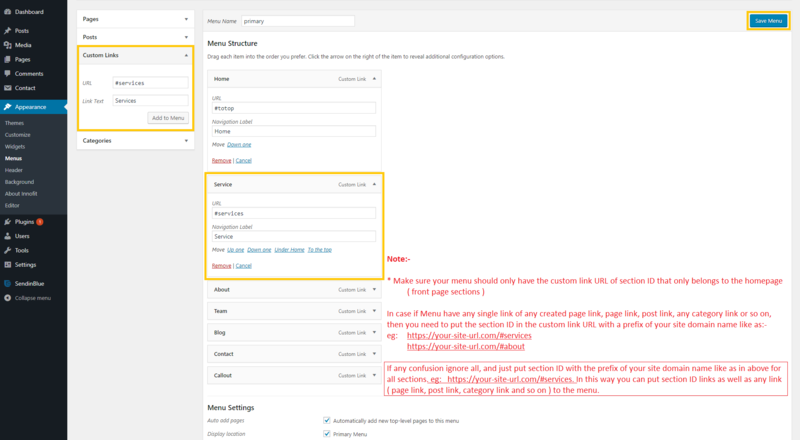 Blog / Archive – Uncheck the option to hide the meta values ( like author name, date, comments, etc. ) for the Blog / Archive section. Here for the footer section, you can change/set the background color. Add custom CSS to the Additional CSS section to make changes in the style of the elements.